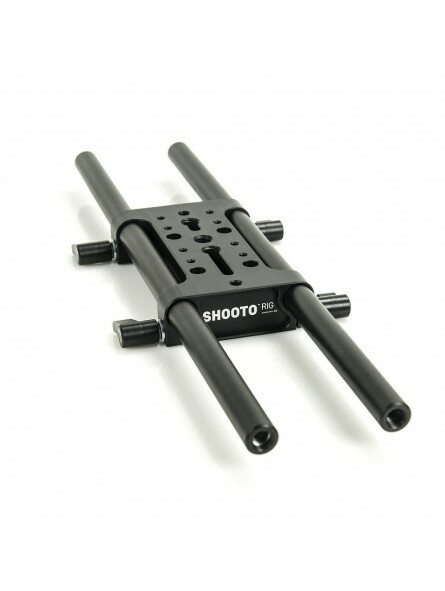 SHOOTO RIG - Universal Baseplate - allows you to mount the follow focus/lens control motors or matte box on most brands of medium cameras. This camera accessory provides a small, light setup solution expandable to a more elaborate setup use e.g. AKC-3 Quick Release Adapter. 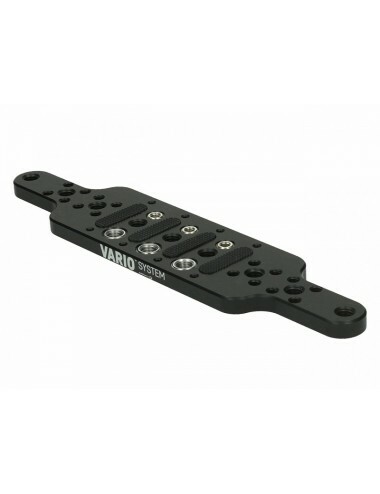 Baseplate attaches underneath the camera with two position space of 4 x M4 screws or with double 3/8” or 3/8” and 1/4” Camera Mounting Screws that are included. Movement of rods Φ15mm blocked with adjustable aluminum clamps. 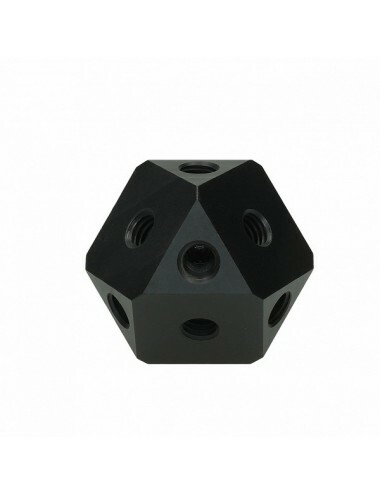 Is equipped with a set of Φ15mm and 300mm long - very light aluminum rods punched in 3/8” holes at both ends.